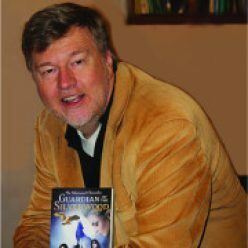 So, my first Goodreads.com giveway has closed. 1,207 individuals registered for the giveaway. Goodreads has notified the ten winners and I will be sending their signed copies of the book out in the next couple of days. In the meantime, book two is buzzing through production. I’ve attached a preview of the title banner. Once I’ve had a chance to make some subtle changes to the cover, I’ll be sure to release share it with you. If you haven’t done so, please check out my author web page: http://www.matthewgraphman.com/ It’s a work in progress, but I hope to be adding more details to it soon. I’m using WordPress, which is new to me, so I’m still getting familiar with the features and capabilities. Any of my Bloomington friends that are familiar with it and want to provide me with guidance, I’m all ears!